Pope Francis still in the “walking” mode Pope Francis Really Becomes Pope on the Day a New Encyclical is Released. It is now time to make decisions. Pope Francis is in a hurry, he wants to fill the most important pieces of the curial puzzle. After more than 100 days as bishop of Rome, it is now time to act as a pope for real. And above all, to start deciding whom to count as a friend and whom not. Even if it is yet to be seen who the true friends really are. Decisions from a Jorge Mario Bergoglio who, many believe, came to Rome with his mind all too clear. Was Pope Francis’ election the end result of a campaign that had been on the works for a long time? While standing by for the announcement of his first appointments some in Vatican circles have started to think that, indeed, Bergoglio’s election was the outcome of a campaign dating back some time. Beyond striking a great rapport with the crowds, and beyond his undeniable charisma, there is something that still looms in the air about Pope Francis’ preaching. The prominent Italian vaticanista Sandro Magister has underscored that, ultimately, everybody likes Pope Francis because he remains vague on the big issues. The first question one could pose is: when will the magisterium of this pontificate address, in earnest, the big issues of the day? It seems that this pontificate was already on the works in 2005. In that year’s conclave, Jorge Mario Bergoglio was the second most-voted cardinal. About that conclave, almost everything has been told. Even a diary of the conclave, written by a cardinal who took part in it, has been published. The cardinal reported the votes each candidate got. From those tallies, it was evident that opposition to Joseph Ratzinger was strong, even if the German cardinal had from the very first round a large number of votes. Someone also recounts that Ratzinger already had the votes required to be elected by the third ballot, but that he asked for the fourth to achieve a wider majority. A wider majority he did not get in the terms he hoped. On the other hand, not so much is known about the conclave that brought about the election of Jorge Mario Bergoglio. It became immediately clear that the U.S. cardinals played a major role in Bergoglio’s election. Right after Pope Francis’ first appearance on the Lodge of the Blessings, U.S. cardinals, some even anonymously, released to newspapers several statements explaining how Bergoglio’s candidacy came about. 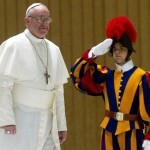 It is also understandable that, once it had been launched, Latin American cardinals converged on Bergoglio’s candidacy. «A new narrative:» this was what the Church needed. Jorge Mario Bergoglio would guarantee it to take place. His focus on a limited number of themes about which he spoke repeatedly, and a low profile that would compel the whole Vatican to adapt to it, would coalesced in the image of a humble pope longing for a Church poor and for the poor. Probably, Pope Francis already had his own governance ideas in mind. In Europe, few took note of an article first published on Cigüeña de la Torre, a blog on religious information hosted in the Spanish portal of information Intereconomía. A long, anonymous e-mail sent to the blog’s editor maintained that Fabiàn Pedacchio Leaniz was Cardinal Bergoglio’s spy within the Congregation of Bishops. It provided so many details that it was clear that the informant was, at the very least, very well acquainted with the Vatican. Pedacchio Leaniz is now second secretary of His Holiness. In 2007, Bergoglio recommended him for a post as “2nd class employee” in the ranks of the Congregation for Bishops. Attentive, reserved as needed, and a fan of opera and Almodovar’s films, Pedacchio Leaniz is above all a faithful collaborator of Bergoglio. According to the informant, Pedacchio Leaniz used to call Bergoglio in Buenos Aires once a week, keeping him informed of developments. When there was an important issue at stake, Pedacchio Leaniz also faxed confidential documents to Bergoglio. Pedacchio Leaniz is also reported to have received Bergoglio’s instructions on how to support or to block a career. Leaniz operated like a discreet, confidential informant. Perhaps it was, simply put, hardly an orthodox way to proceed. At the time, Jorge Mario Bergoglio was not able to get appointments as bishops for the priests he proposed. The candidates he suggested were always dismissed by the then papal nuncio to Argentina, Adriano Bernardini. Or perhaps the story that Pedacchio Leaniz was Bergoglio’s spy is a myth. Regardless, these details are important to understand how a pontificate that promises to be different mayevolve. The actual key elements to interpret it are yet to emerge. To judge by the account rendered in the anonymous article, Bergoglio has already collected plenty of information to bring about change to the Roman Curia. The appointment of a new Secretary of State will be among the very first to be announced. The new Secretary of State (in fact, he would be a pro-secretary, until he receives the red hat) would be Archbishop Pietro Parolin, now nuncio to Venezuela and for several years the Vatican’s Undersecretary for Relations with the States. A new Prefect of the Congregation for the Evangelization of Peoples will also be named, a choice that would fall on Cardinal Oscar Andrés Rodriguez Maradiaga, Archbishop of Tegucigalpa and a very good friendof Pope Francis. 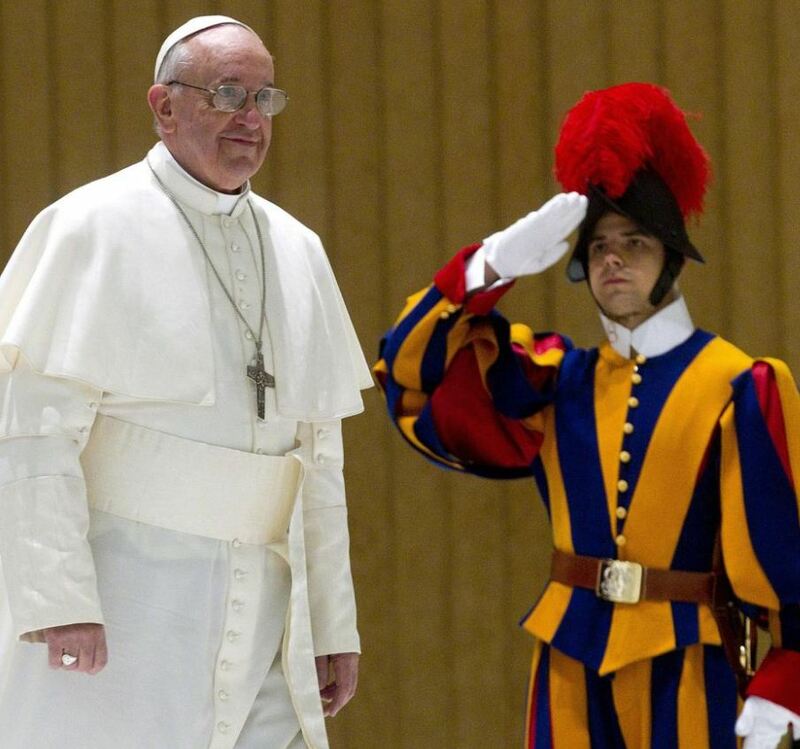 Also the Congregation for Divine Worship and the Discipline of the Sacraments will have a new head: Piero Marini, the Master of Ceremonies of John Paul II, would take the post. Ignacio Arrieta, number two at the Pontifical Council for Legislative Texts, could be the new Prefect of the Congregation for the Clergy, since the current prefect, card. Mauro Piacenza, is told to be outgoing because of a illness. Arrieta himself was one of the writers of the chirograph through which Pope Francis established an advisory commission for the Institute for Religious Works, the so-called Vatican bank. Arrietaserves in this temporary commission as its secretary. The president of the IOR’s Pontifical Commission is Cardinal Raffaele Farina, who was formerly Prefect of the Vatican Library. Cardinal Jean Louis Tauran is also a member of the board: he will work as a link with the IOR, since he is also in the IOR’scardinals’ oversight commission. Other members are: Mary Ann Glendon, President of the Pontifical Academy for Social Sciences, and Peter Bryan Wells, assessor at the Vatican Secretariatof State. The commission is tasked with advising the Pope about the IOR’s formal legal status, as the Pope is considering a possible reform of this Vatican financial institute to make it more adequate to the mission of the Holy See. The appointment of the commission, however, is certainly not an attempt to take over the running of the IOR. Rather, it represents the Pope’s will to show that he is engaged. It is noteworthy that the first commission of eight cardinals, to advise on a reform of the Roman Curia, was formed by non curial members while this latter commission is all made up by Curia members. This change deserves further analysis. A first reading would be that Francis has understood that he cannot change the Curia without the Curia. It may also indicate that the old guard of diplomats are regaining power, after the loss of influence that they so deeply resented under Benedict XVI’s pontificate. If the German Pope did not accept compromises, Pope Francis is comfortable in a context in which the art of compromise is applied everyday. He is very fond of everybody. In the end,commission after commission, he will always have the last word. Dear God, not Marini. That would be a disaster. DEAR MSGR. LEANIZ, PLEASE TELL THE POPE HE IS ON THE RIGHT TRACK; HE IS THE POPE OF THE PEOPLE. PLEASE TELL HIM TO FOLLOW HIS INSTINCTS AND HIS PASSION FOR THE LORD THY GOD, BLESSED BE HE. A SIGN WILL BE GIVEN TO HIM; I DO NOT KNOW WHAT THE SIGN IS, BUT AS LONG AS THE POPE FOLLOWS HIS HEART, AND FOLLOWS WHAT THE LORD THY GOD, BLESSED BE HE, IS TELLING HIM NOW HE WILL BE DOING HIS WORK HERE ON THIS EARTH OF OURS. PEACE BE WITH YOU.